My study abroad programme at Maynooth University has started around March. Time passed by so quickly. 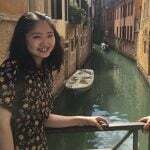 As an international student, I’ve been attending the English Language and Economics Programme for ten months now, and I’m currently living with a host family. I was yearning for large campus life with a beautiful green lawn because I’ve never experienced such a thing before. In contrast to Maynooth University, which has two wide campuses, my university in Japan doesn’t have any campuses; it’s only a building. When I went back to school for the first time, I was impressed by the huge crowd of students who were chatting with friends, having lunch and enjoying the sun on the lawn. I rarely did those things when I was in Japan, so I was attracted by such ways to spend time on campus, especially by the lively atmosphere. Maynooth University is divided into two campuses. The north campus has many modern, well-equipped facilities and the south campus has got a beautiful chapel. My favourite on-campus part is the south campus which has some traditional and historical buildings. I hardly ever take classes at the south campus though. When I first saw the buildings there, I thought ‘these look so similar to the buildings that appeared in Harry Potter’. This image of European-old yet ultra-modern university is what will make for an amazing student experience here. One of the things that I was looking for before starting my student life at Maynooth was to join societies. There is a wide array of clubs and societies here (more than 100 on campus). I’ve also been curious to try out traditional Irish things because I rarely have such opportunities in Japan. With that in mind, I decided to join the Dance society, where you can take Irish dance classes. Of course, I have no prior skill or knowledge of Irish dance, but its welcoming atmosphere made me feel very relaxed and not afraid of trying out something completely new. I really enjoyed the time I spent with new friends in societies every day; I’m sure that my time at Maynooth University made not only for academic achievement but also for some valuable experiences such as making new friends globally and pursuing new interests. The attractive aspect of Maynooth itself is not only the university but also the off-campus surroundings are fascinating. 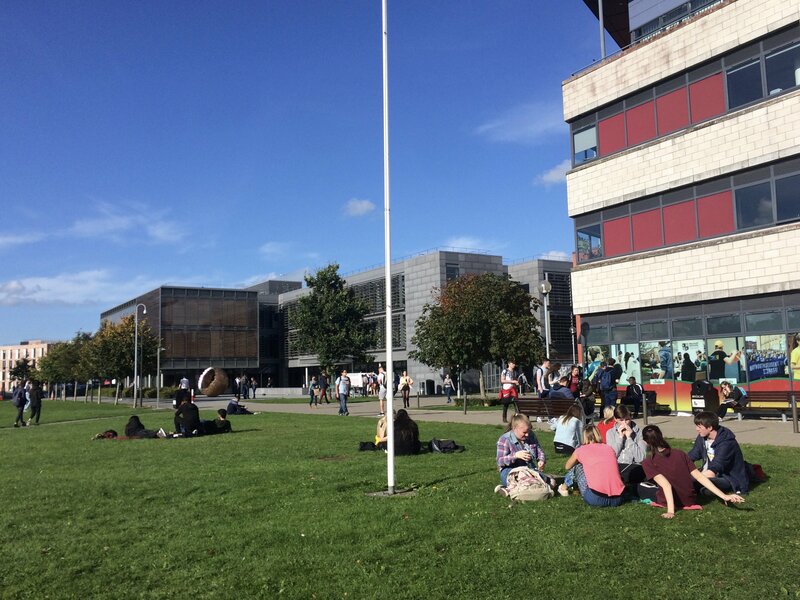 Maynooth is known as being Ireland’s only university town, which is located 25km away from Dublin. Although it seems like a small town, it is brimming with shops and boutiques, restaurants, long-established bars and pubs on the main street; plus, it’s only a couple of minutes away from the university. With this convenient accessibility feature, you can buy some food from the shops, go out for lunch or a drink at the pubs at any time you feel like it. Especially, I liked when I got to have a pint with my friends and enjoy traditional Irish music and atmosphere of Maynooth’s pubs and bars. Maynooth is definitely worth checking not only from a student point of view but because of its long history. The town of Maynooth is breathtaking. Maynooth Castle and Carton House are definitely worth paying a visit. I’d love to explore more of this nice little town with cultural heritage and long local history.